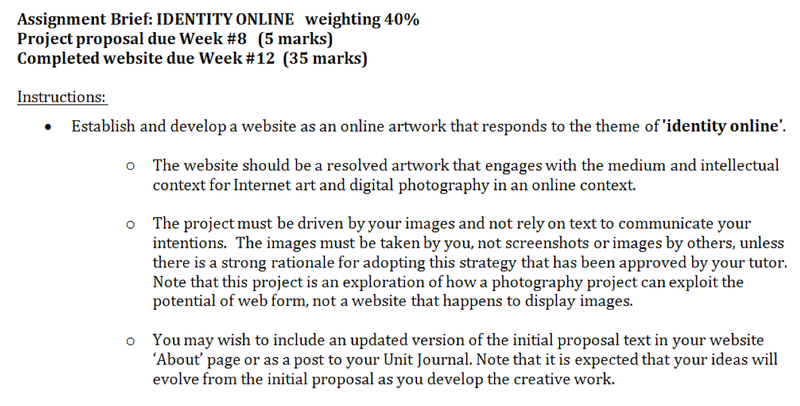 Instructions: Establish and develop a website as an online artwork that responds to the theme of ‘identity online’. The website should be a resolved artwork that engages with the medium and intellectual context for Internet art and digital photography in an online context. What are the key terms in this brief? Instructions: Establish and develop a website as an online artwork that responds to the theme of ‘identity online‘. The THEME is ‘identity online‘. This means that the content and ideas explored in the project should engage with and comment upon the notion of ‘identity online’. It does not mean that you need to cover everything about this broad term. Indeed, we want you to find a focused specific issue, topic, experience or observation within this broad field. The technical medium and intellectual context is Internet art and digital photography in an online context. Your project must work within the technical limitations and possibilities of the internet and digital photography online. The project should also demonstrate an appreciation of the historical precedents and theoretical discussions that are taking place about these developments and genre. You can include references and examples of other peoples work in your proposal and ‘About’ page, but primarily this will be demonstrated by the sophistication and resolution of your final project. Note that all these briefs fit the ‘THEME’ and ‘CONTEXT’ structure. How can we begin to think about ‘digital photography in an online context‘? networked via hyperlinks and computer vision. Becoming the dominant form of mediated communication? What is ‘Online artwork / Internet art’? Note: not photography based but a good example of an artist whose work only exists on the internet. What does ‘identity online‘ mean? Abstract: Presentation of self (via Goffman) is becoming increasingly popular as a means for explaining differences in meaning and activity of online participation. 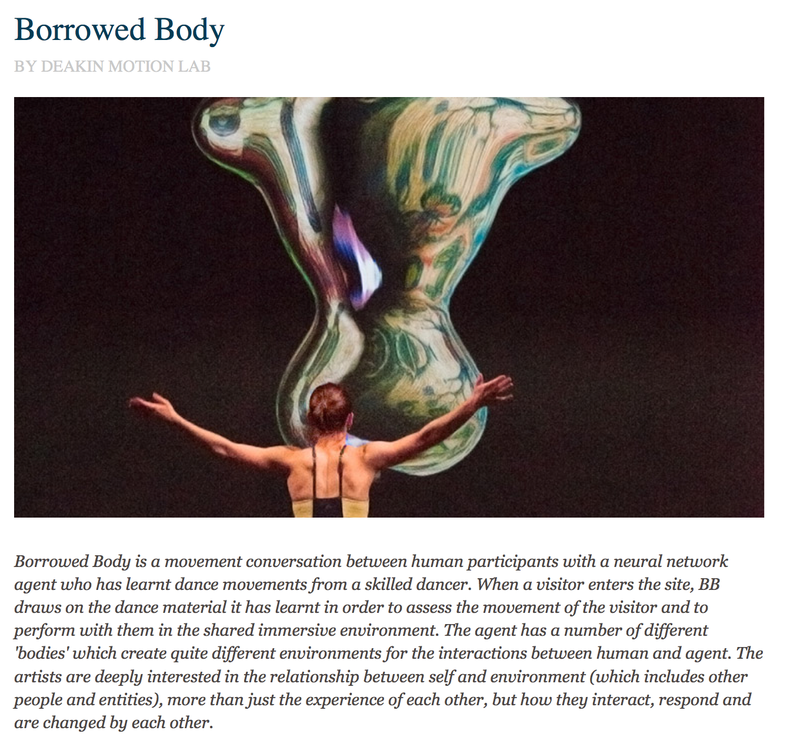 This article argues that self–presentation can be split into performances, which take place in synchronous “situations,” and artifacts, which take place in asynchronous “exhibitions.” Goffman’s dramaturgical approach (including the notions of front and back stage) focuses on situations. Social media, on the other hand, frequently employs exhibitions, such as lists of status updates and sets of photos, alongside situational activities, such as chatting. A key difference in exhibitions is the virtual “curator” that manages and redistributes this digital content. This article introduces the exhibitional approach and the curator and suggests ways in which this approach can extend present work concerning online presentation of self. It introduces a theory of “lowest common denominator” culture employing the exhibitional approach. Zhao, S, Grasmuck, S & Martin, J 2008, ‘Identity construction on Facebook: Digital empowerment in anchored relationships’, Computers in Human Behavior, vol. 24, no. 5, pp. 1816-36. Beyond the face to face weekly sessions, it is your responsibility to inform yourself – read and research the general field and your specific subject. 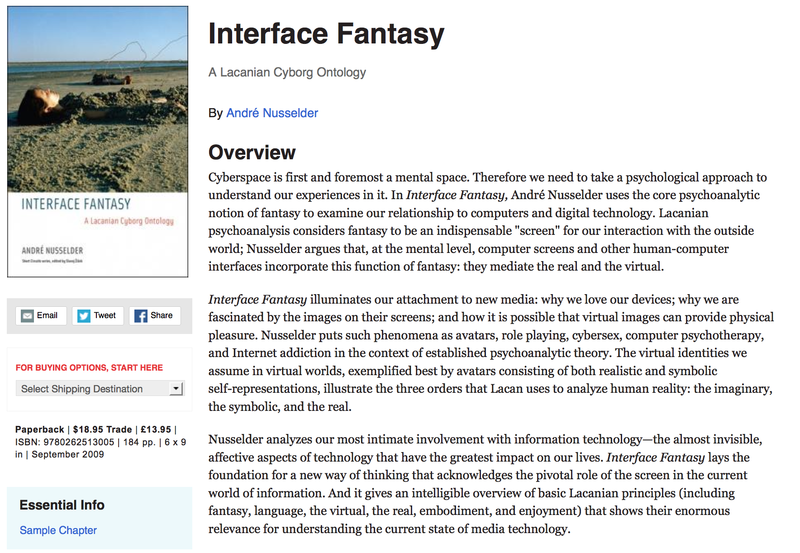 The recommended reading list and further ideas blog has several recommendations ranging from introductory definitions and in-depth discussions of specific issues such as avatars, the relationship between place and cyberspace. Stallabrass, J 2003, ‘Internet art: the online clash of culture and commerce – Reading 1. A new art, Reading 2. The structure of the internet’, Internet art: the online clash of culture and commerce 2003, Tate Publishing, London, pp. 8-23. What interests you in this field? Within the broad field, choose a specific topic that interests you. Note that you need to identify both a thematic subject – such as avatars or phubbing – and the technical framework for the theme – such as GIFs or Glitch. Do not try to generate and evaluate your ideas at the same time – it does not work! Break it into two distinct phases – brainstorm THEN evaluate, cull and develop. Note that you have a choice of online presentation platforms.